New Storz and Bickel Mighty, with 20% more battery life! 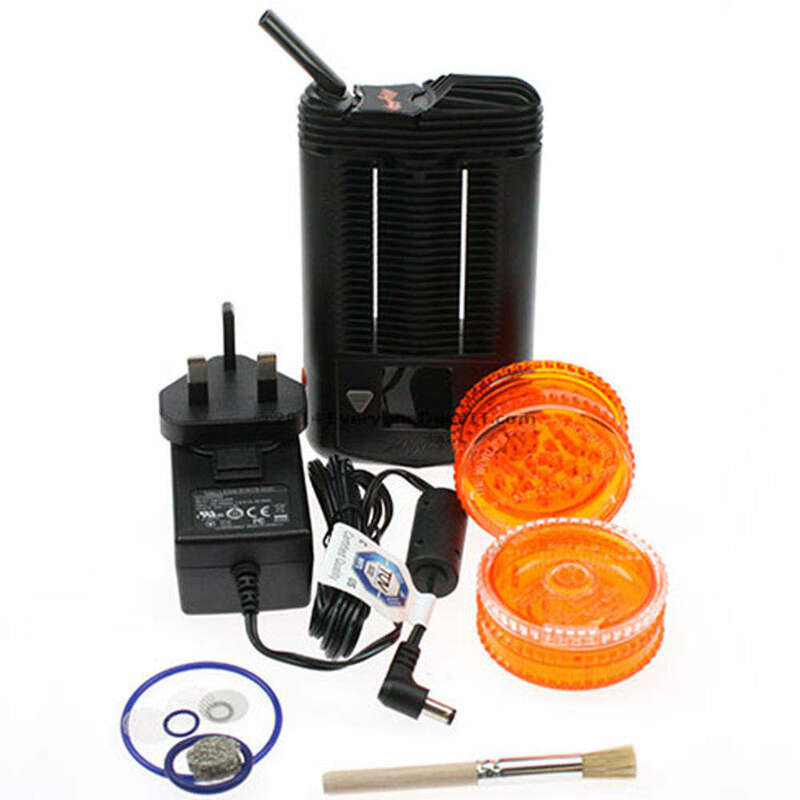 The Mighty vaporizer is from Storz and Bickel, who brought you the iconic Volcano Vaporizer. As you would expect with this brand, it is one of the best and, indeed, most popular hand-held vaporizers currently available (along with it's smaller cousin, the Crafty). Like all Storz and Bickel products, it produces great vapour. It can be used with dry herbs or liquid concentrates and will never combust the materials. The Mighty uses a combination of convection and conduction heating for maximum vapour quality and is controlled by a simple two-button system with LED temperature display. It also has a clever cooling unit system to prevent harsh hits. This gives unprecedented temperature control for a handheld unit and can easily match most desktop units in terms of vapour production and quality. In other words, you get the performance of a desktop unit with the convenience of a handheld! It is powered by two lithium ion batteries, which give a good 90 minutes of solid vaping, but it can also be used with almost flat batteries by plugging in the power adapter (supplied). And, of course, like all Storz and Bickel products, it is exceptionally well constructed and attractive in design. This is the new improved Mighty, with latest firmware and much improved battery life. Please remember, we only EVER sell authentic branded goods - beware of fakes! Crafty Vaporizer - Latest version!